Band of the Week: Girls of the Gravitron! Best Of 2012: LPs and More! 4) Cumstain- White People Problems (Burger)- Okay, not officially released, but still, a favorite of mine. 2013 shall be a year of great releases I predict. 1. The Barbaras – 2006-2008 – The Barbaras exist in my music collection as a very revered band. I had been playing their fuzzy, sunshiny 7″ since October 2010. They were gone, of course, by then, off doing things like being in Magic Kids and Wavves. Then the news of this came along. About two years later I was able to hear some clearer renditions of tracks from that 7″ and even better…twelve new songs. The new ones (and the old ones) simply put are some of my favorite tracks ever. I can’t really even delve into specific favorites, because they all such hard hitters. Some are kind of wimpy (“Bluebirds”, “Only One”), while others (“Devour the Jungle Deer,” “Grief Touches Everyone”) are barn-burners from 0:00 ’til the last note. The Barbaras nailed the ‘pop’ part of garage pop in a way that is truly unlike any of the bands the Barbaras would eventually join. These are songs you listen to daily, that capture your attention from the very second they begin. There was something real special about this group from Memphis. They paid as much of a debt to their contemporaries like producer Jay Reatard while maintaining a keen appreciation for both the obscure and popular golden melodies of the ’50s and ’60s. I haven’t heard a modern band perfectly nail that down like the Barbaras. This is a record that I doubt will reach #1 status beyond us… the fanatics that run this website. That’s a shame, though, because a complete and thoughtful listen (yes, just one) makes a grand impact. 2. Ty Segall/White Fence – Hair – This is another record that I’m as excited to talk about now as I was when I first heard it many months ago. I think those early listening sessions included a good amount of bewilderment. Ty Segall and White Fence. One record. Two fantastic garage/psych songwriters coming together. I didn’t know much about White Fence back then and frankly I still do not really. Tim Presley can jam. Hair isn’t really a traditional “record” because – yes – it is brief (8 songs) and the songs range from extremely well done jams (“I Am Not A Game”, “Scissor People”) to the more straightforward (“Easy Ryder,” “Crybaby”)…thanks Ty! I remember hearing “Scissor People” maybe the second or third time and really starting to “get” it. The riffs. The shuffling of sounds. Damn, I thought. Rumors have it that there will be more from the Ty Segall/White Fence collaboration. That’s awesome, because they got it right the first time. 3. Black Lips – Live @ Third Man – Black Lips do many things well. Their entire discography is filled to the brim with killer track after killer track, killer album after killer album, killer single after killer single. Yeah, they are the best band. Them doing a follow-up live record after the outrageously special Los Valientes Del Mundo Nuevo might only seem natural given their talent in front of crowds. Of course, this is a fantastic record. This one was without question recorded at Third Man (ya, you know what I’m talking about) and the dudes have the stage banter to prove it. They mix the real old with the real new and throw in some material from in between. While this doesn’t flow as nicely as Los, it sure as hell proves why Black Lips have had IT for more than a decade. Keep it simple stupid and let the rock and roll do the talking. Listening to “Fad” and “Modern Art” in the same set is something that I had long wanted (and luckily got to experience), but now with this LP – that can happen any time. Good stuff. Thanks Black Lips. 4. Ty Segall – Twins – Surprise, surprise! Twins is crazy good. Ty’s been on a tear since Melted, at least in the sense that people from semi-mainstream media outlets are in on the awesomeness as much as we little dudes have been in for a much longer time. But a great songwriter is a great songwriter and Ty’s been there for some time now. This one sounds better than all of ’em. While Melted absolutely shredded and was extremely catchy at the same time, this one furthers Segall’s sonic exploration and crunches everything together oh so nicely. Up until now, we never really got the “You’re The Doctor” side of Ty, at least not this great. The straight fuzz package in “Ghost” is like what “Melted” accomplishes but without the wait. Pure immediacy. For long time listeners, Twins satisfies, and for newcomers, it surely must have you wondering you’ve been missing out on. It’s all right. 5. 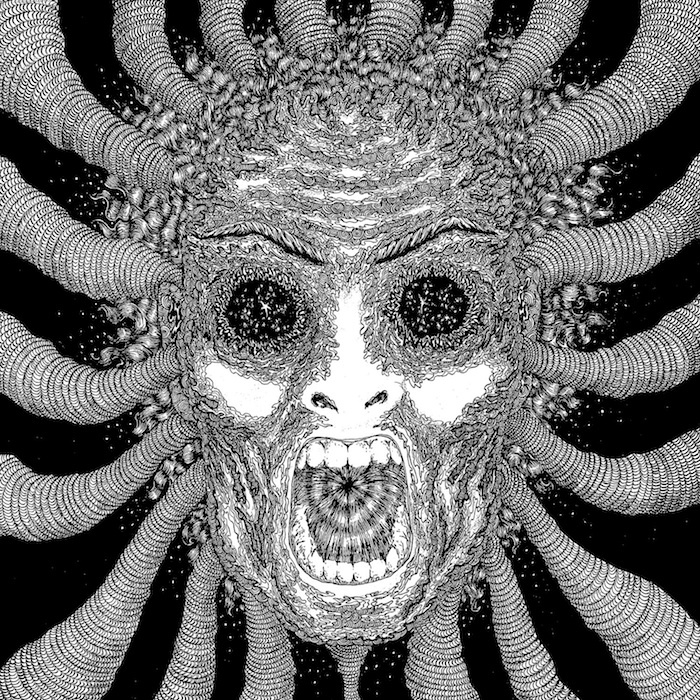 Ty Segall Band – Slaughterhouse – I know, I’m obsessed with this dude’s music. With a musician like Ty, you can go from listening to Lemons to Slaughterhouse and just nod in appreciation at how much more he has added to his arsenal. He had been doing the straight up old time rock and roll thing for a while, but with each release leading up to this, it seems as though he kept adding more and more weapons. For Slaughterhouse, Ty and band blasted full into heavier territory, leaving behind the two minute song for lengthy fuzzed out solos and pounding rhythms. The result is a wild success. While the Hair collaboration was a short and sweet affair through-and-through, Slaughterhouse is likewise full o’ goodies, but it beats out that album by containing Ty’s best song yet, “Wave Goodbye.” If the chorus doesn’t do it for you (why wouldn’t it? ), there’s the “oooh-ooooh-oooh” part and duh…that solo. There aren’t any duds on this one and if the faster and more sinister stuff is more up your alley, I could easily understand why you’d rank this higher. 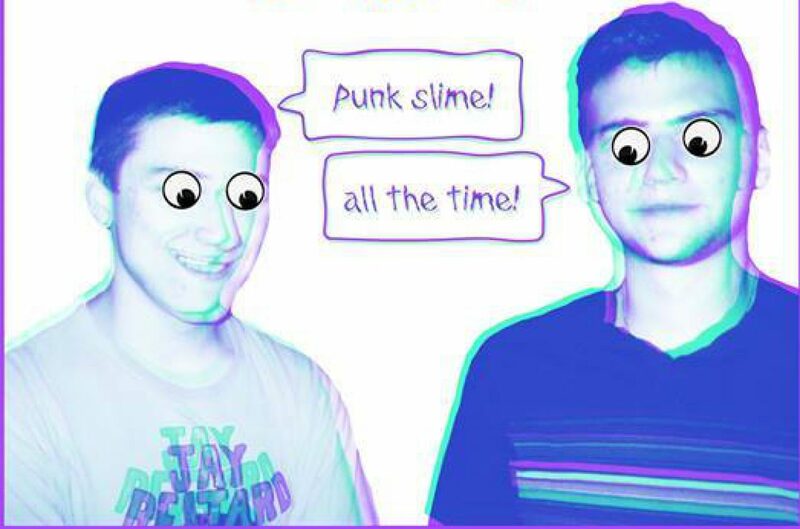 The Hussy – Weed Seizure – The Hussy have been impressing me with their studio output for a good while now and you guessed it – Weed Seizure is the pinnacle of their greatness so far. What the Hussy does so well is very much like what the bands above do so well: present you with a real strong melody and never have you looking back. The Hussy take their love of the beloved Jay Reatard and Segall, but cut out the loose ends and recorded some mighty quick numbers that definitely stack right up to the aforementioned. The whole album is unforgettable and sticky: the interestingly titled back-to-back tunes “FUDje” and “SFB” are highlights, right up there with opener “Undefined” and the primal “Dog Said Yeah”. The Hussy have been on a roll, touring relentlessly and releasing a whole lot of quality material…the prospects are looking great for ’em and all the best. They are a lesser known band that you oughta know…now! As with every year, I’m listing off my favorite songs (in alphabetical order) and keeping to a three song maximum per band, because there’s just way too many to list all of them! And we’re off. We are obsessed with The Barbaras and can’t fathom how you are not! 11) Why Should I Love You? Comments: Two years ago my ears had the pleasure of hearing both The Barbaras and The Magic Kids for the first time. The latter gained national attention/critical acclaim with the release of their debut LP Memphis, but sadly few have ever heard of the former. Which is a shame because the Magic Kids are basically the product of the Barbaras, at least that’s one way to look at it. In the time since then, I have often YouTube’d Barbaras songs and viddied thee old live clip or two. I fell in love with these songs, the few of them that were available, but I wanted more. Now in 2012, the Barbaras album I and so many other weirdo Memphis pop creeps have been anticipating has finally arrived. I honestly never thought I would see the day. Okay, let’s get to the record itself. It’s beefed up that’s for sure. In my mind, I envision members Billy Hayes, Stephen Pope, Will McElroy, Bennett Foster, and Alex Gates hopping on stage with tremendous, roid induced muscles- like pro wrestlers. That’s what this LP is- Barbaras beefed up. Anything you’ve heard before, it’s bigger – with the help of producers Jay Reatard and Alicja Trout, I must add. And you can definitely see where Jay’s production style plays a role in this record. Songs like “Day At The Shrine,” “Grief Touches Everyone,” and “Devour the Jungle Deer” possess that fast paced, hard hitting drum quality. It’s honestly like hearing another Jay record at some moments. Oh and I should mention, for you sad folks that are unaware, Billy is the former drummer for Jay Reatard’s live backing band and former drummer for Wavves; Stephen is the former bassist for Jay live and current bassist for Wavves. These aren’t mere accomplishments for the resume, oh no, they are all intertwined. On this record, you can hear the similarities in all three bands. In particular, in the eccentric songwriting of Billy Hayes. Tracks like “Grey Eggs” and “Why Should I Love You?” are reminiscent (for me as a listener) of Billy’s main songwriting contributions on Wavves’ King of the Beach (2010) – “Convertible Balloon” and “Baby Say Goodbye.” Billy creates his own world with these songs, and I’m constantly reminded of old school Nintendo video games, just lying around with a Nintendo in my room. In general, Billy’s vocals play a big role here, but he is certainly not the only one. Pretty much all the guys lay down some nasty vocals, and the singing is probably the highlight for me. This is where I best hear the Beach Boys/Phil Spector references everyone makes. Of course, you really can’t not listen to this and not walk away with those feelings. Specifically, some of my favorite moments are when the band unabashedly mimics a 60’s favorite. The very Beach Boys esque “buh bub bub buh” in “Topsy Turvy Magic,” the girl group stylings of “Breathing Underwater,” the doo woppy vocals in “How Many Times,” or the epic, insanely layered, psychedelic Beatles 1967 ode “Annual Botanical” that closes the album. 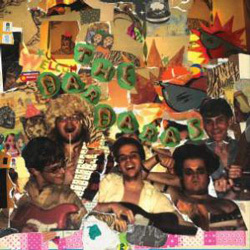 So yeah, Barbaras are obviously heavily influenced by the music of the 60s, but they take this music and subvert it with their own bizarre, demented personalities, which is a key factor in why this band outshines most of their contemporaries. They are derivative, yet they carve out their own distinct character and in that way no one can say they sound like anyone else, past or present.